If your shoulders, waist and hips are pretty much in line, with basically the same bust and hip measurement, then you’re a ravishing rectangle body shape with little waist definition and often a small bust. These styles will flatter your figure by creating curves and accentuating your waistline. Styles with a corseted lace-up back will also work wonders. Look for corset-style tops that end in a V shape or a low rounded edge, which will look fabulous teamed with an A-line or ball gown skirt. Steer clear of drop-waisted dresses, sheaths and clingy styles, which will accentuate your lack of curves. Not sure of your shape? If you're a little more of a curvy hourglass figure or with a well-defined waist, you're more of a pear! Create an hourglass shape with a style that nips in at the waist and flows gracefully out into a floor-length skirt. 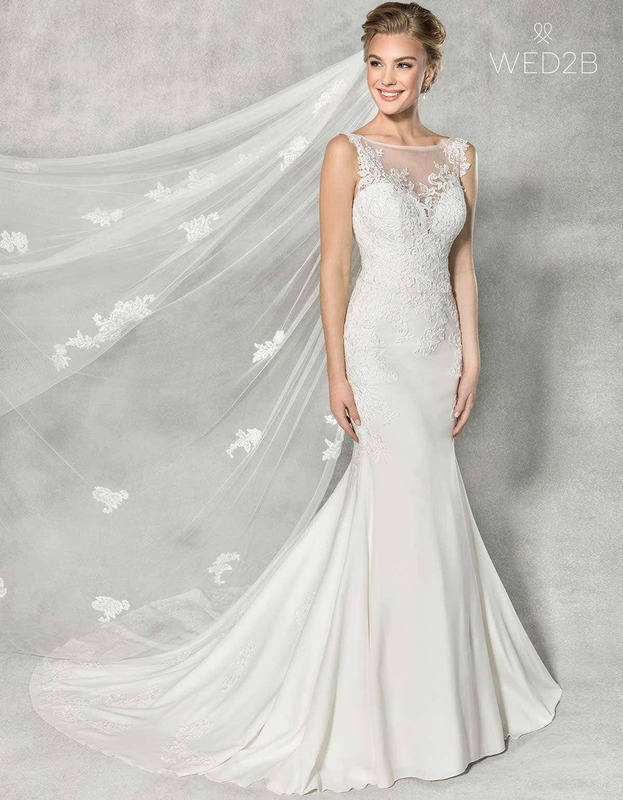 This sophisticated mermaid dress does just that with rich, luxurious crepe embellished with delicate lace appliqués. The clever ruching and lace-up back of this dress will also give rectangle figures a wonderful waistline. Remember, for that stunning strapless style, you'll need a good strapless bra underneath. The perfect touch of sparkle on the hip is just an added bonus! Finally, our fabulous new Leona dress by Anna Sorrano is a dream for rectangle body shapes. A stylish fitted silhouette, the clever illusion side panels will create a waist you never knew you had. 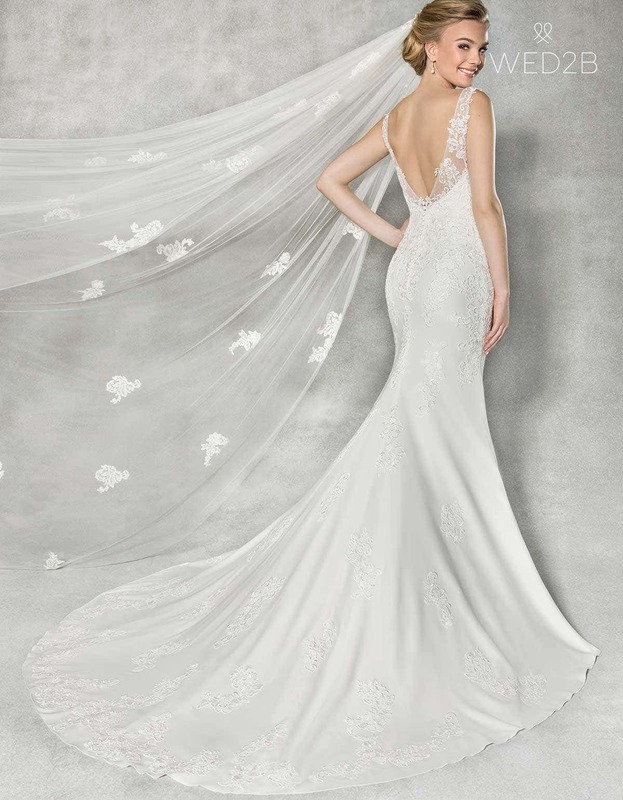 Then turn round and the stunning illusion back, with sparkling lace appliqué, is the icing on the (wedding) cake!